Welcome to the new Nursing Excellence area! Have satisfaction within their role which leads to optimum patient outcomes. 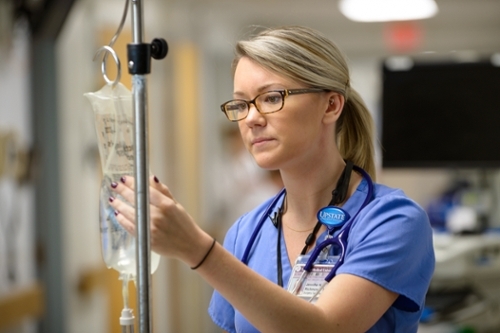 We are driven by our professional practice model and our Upstate Nursing values of Holistic Care, Collaboration, Professionalism, Education and Resources to achieve nursing excellence. Through nursing excellence we are able to deliver patient and family centered care. This portion of our website you will see the many ways in which we monitor, develop, and achieve nursing excellence. Last Modified: October 25, 2018. Contact Collette Fay with questions about the content of this page.